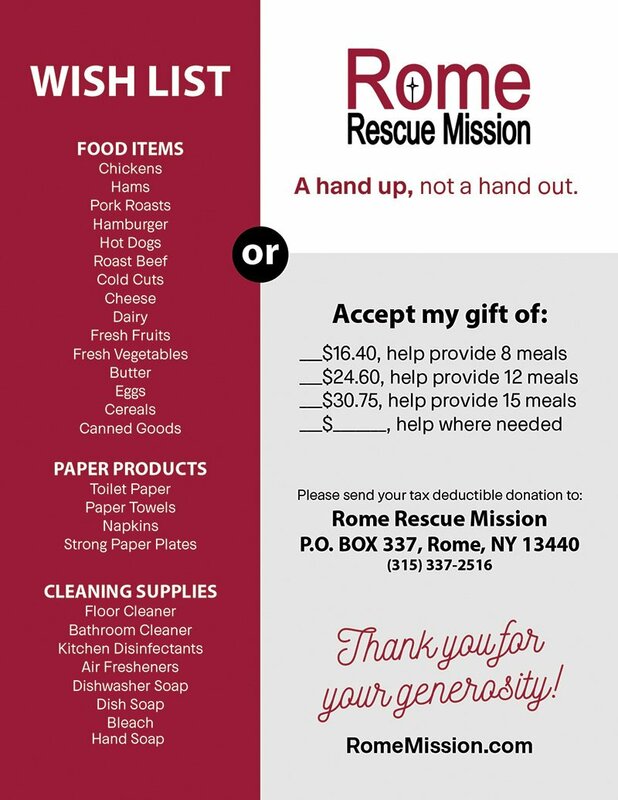 The Rome Rescue Mission is running short on food items, and is asking for your kindness and generosity to replenish their supply. Many of the food is also used to make food baskets to give out to families, as well as to make meals in their kitchen, so they need family size containers as well. We also can always use the following: All kinds of meat products – hamburger, chicken, pork, turkey, ham, hot dogs, sandwich meat, bacon, sausage/ Dairy – milk, butter, cheeses.